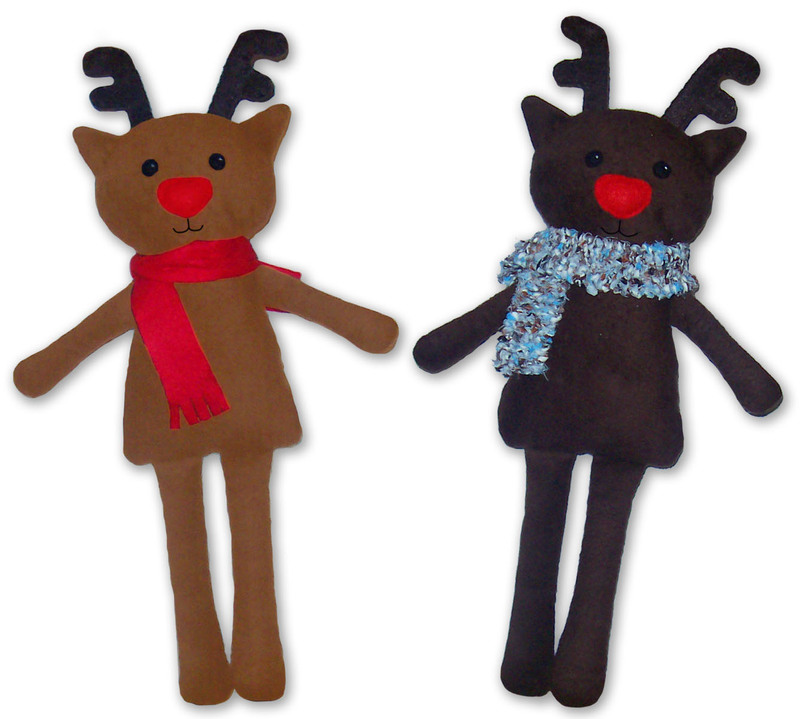 I made Rudolph soft toys last year, and so had a basic pattern and just needed to smarten it up and write instructions for it. The pattern is 7 pages long and includes full instructions to make him and computer drafted pattern. I also included information and patterns to make different style scarf’s for him. The pattern is available to buy on my blog or in my Etsy shop. Coming next week is Santa and maybe one extra if I have time! This entry was posted in Etsy on November 19, 2011 by Handmade Cuddles. Oh it really is starting to feel like Christmas now! We had some hail stones over the weekend and it is so cold I need my hot water bottle in bed! I finally got around to photographing my Christmas decorations and putting them on Etsy. I also added in a new decoration to the collection this year, red robin. All items are on sale in my Etsy shop. 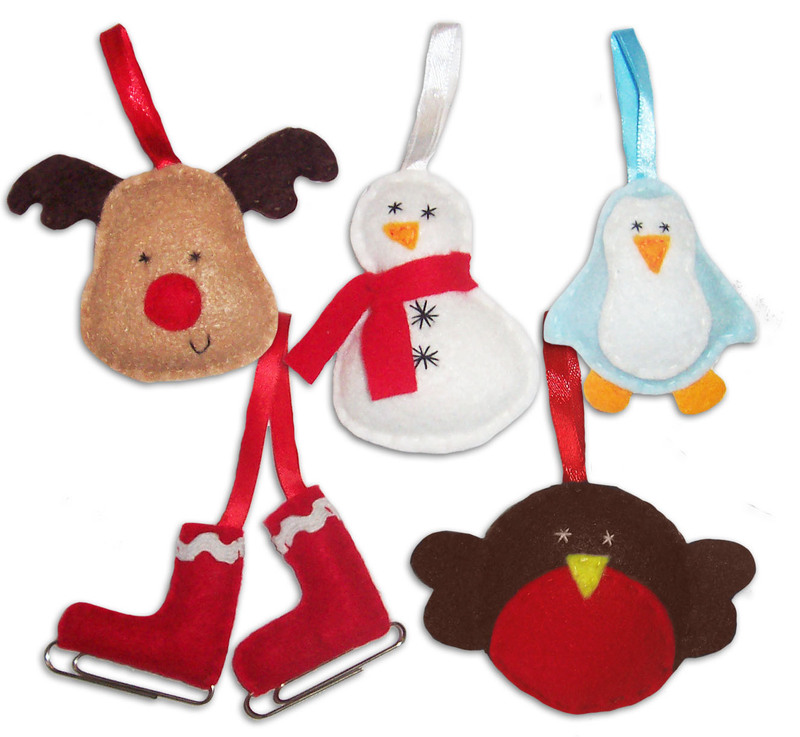 This entry was posted in Christmas, Etsy on October 11, 2011 by Handmade Cuddles. This weekend was super busy, with etsy orders, sewing patterns and a broken computer my “to do” list didn’t have many things crossed off! One thing I did manage to finish was 3 new cushions made from a lovely red tartan blanket. With Christmas coming soon this blanket just screamed Christmas themed cushion so I decided to make a white Robin bird silhouette on the front of the cushion, and keep the blankets tassels for the back. The cushion is listed in my etsy shop now. This entry was posted in Etsy on October 10, 2011 by Handmade Cuddles. I made some more mini felt purses today. (center) Dusty rose heart – felt from Sew Sweet, zipper form Zippit, fabric and ribbon from statsh. I also finally added them to my etsy shop. And don’t forget the tutorial here to try making some yourself. This entry was posted in Etsy, Felt on September 30, 2011 by Handmade Cuddles. 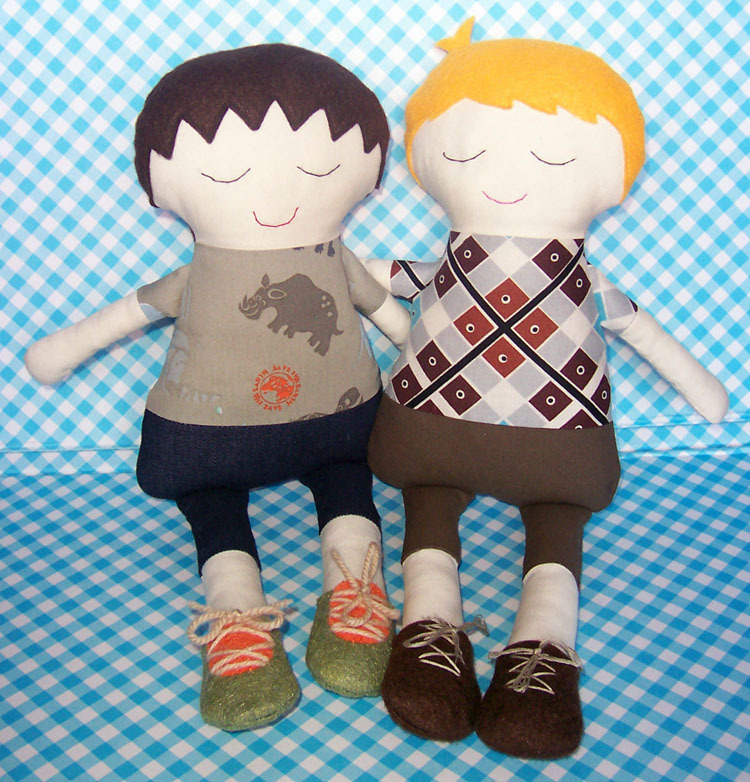 They are made with my new “Best buddies doll” sewing pattern! 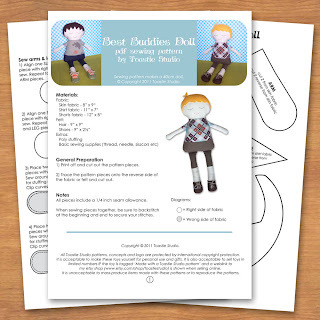 I felt a boy doll pattern was a good addition to my “Best friends doll” girl pattern I released a couple of weeks ago. 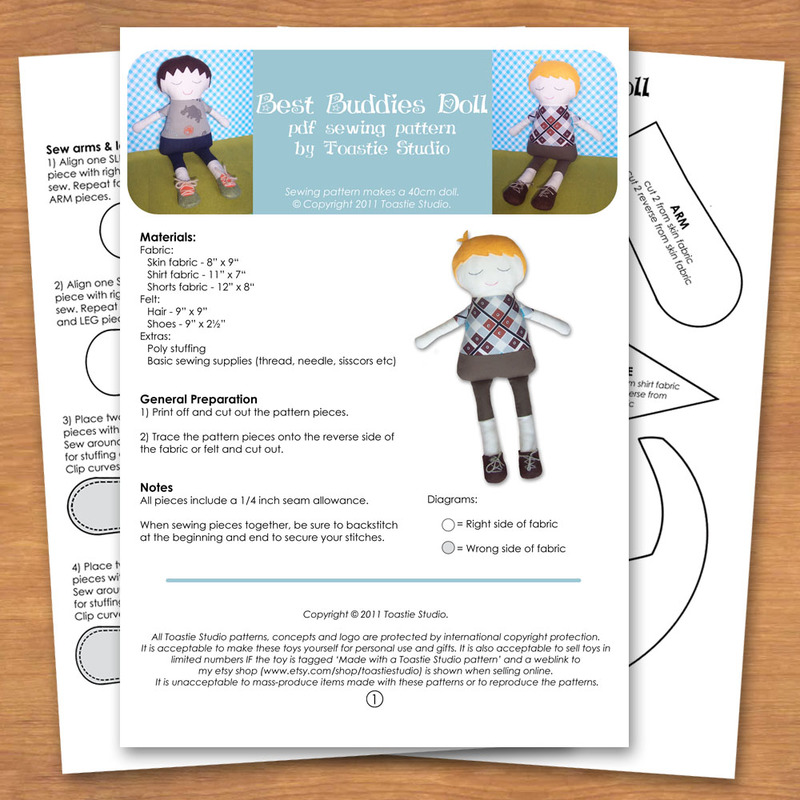 The pattern is 8 pages long and includes full computer illustrated steps to make a doll just like Josh, and includes computer drafted pattern that includes 4 different hair options. You can buy the pattern in my Etsy shop, along with my other patterns. It will be November before I bring out my next sewing pattern as I need to get things ready for the upcoming craft fair diezijn leuk! This entry was posted in Design Doll, Etsy on September 27, 2011 by Handmade Cuddles.